KitMonsters – Neon Indian. The music makers’ guide to making music. 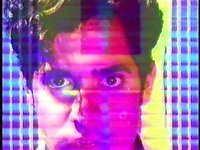 Neon Indian loves surprises. The electro indie chillwave pioneer has been relishing using “temperamental” vintage synths on his new album Era Extraña and his current tour. He is so crazy about weird and hacked sounds, that he has designed his own pocket-sized synth for fans to experiment with, and he compares being in a band to being a “multimedia avatar”. Neon Indian has supported Massive Attack, Phoenix and Chromeo, collaborated with The Flaming Lips and been dubbed one of the hottest new bands by Rolling Stone magazine. MGMT producer Dave Fridmann remixed and engineered his latest album, which combines his love of keyboards, guitar, film and pop sounds. Though born in Mexico, Neon - AKA Alan Palomo, grew up in Texas hanging around a lot of guitar players, and he thinks his synth kit has just as much personality as any guitar. There’s always a predisposition with people that electronic music is very cold and removed sounding and that all these instruments are mass produced and sound the same but I find even units, a single synth, I’ll play around on different models and variations, they are all very different and have their own little nuances to them. The new album may be full of what Rolling Stone describes as his “spaceship dance party” sounds, but it was heavily influenced by some surprising guitar music. I think at the time I was revisiting a lot of post punk records like My Bloody Valentine. I think in a lot of ways I was trying to tap into a song-writing style that was very guitar driven but sort of surgically remove these guitars and replace them with synth sounds that are just angular and characteristic. I was playing less with tape mediums and more with bit-crushing effects that were really bizarre and very angular and guitar-like in a weird way. In his video for the infectious “Polish Girl” you can see Alan playing a Steinberger guitar, but a lot of the album was made using a new prized possession. Alan was inspired by New Order and spotted his dream synth in their video for Perfect Kiss when he was still at high school. Blink and you’ll miss it, but Alan was captivated. There’s a shot of these two rack mounted synths stacked on top of each other that just looked gorgeous - really bizarre-looking instruments. It was a dream synth of mine and I finally managed to track one down in New York through this guy who has become my synth dealer, like a Bond villain with an eye patch and a briefcase or something. The machine was a Voyetra Eight and was the key piece of kit for his new album, released by Transgressive Records. It’s become my axe and the more I use it the sharper it gets. It’s really versatile but my favourite thing about it is I really tend to saturate things in chorus and phasing and flangeing and just really like things to have this unstable undulating quality to it, and with this synth in particular given that it’s old, the voices tend to go out of tune very quickly so as you hit the unison feature on it and it kind of masses them altogether and created this big open chorusey kind of sound and every lead and every bass sound everything is just kind of spread out all across the stereo field and it’s a really neat sounding synth I really love it. Hunting down vintage kit is something he loves and there were more unusual sounds on the new album. I had a modded Commodore 64 with a little chip, cartridge that has a programme written out to make it a fully programmable polyphonic synth. I was anxious to get more of these gritty 8 bit tones, I didn’t want to use plug-ins necessarily because they always sound a little too new and novel. I want to find the original synth chip and kind of modify it to whatever purpose. There was actually this Swedish made synth in the early 2000s called the Sidstation (Elektron) that was used by chip artists but it’s really noisy there’s always this weird little growl. It’s happening if you want to make loud mean 8 bit tones. I use it a lot on Hex Girlfriend and a lot of those tracks. So what was his first instrument, did he start on a guitar like you’re supposed to do in Texas? He reveals it was a Casio Ratman that he was given when he was five. At high school I dug it out of the closet and started playing around with it and running it through some really primitive distortion pedals. At first I played around with some soft synths but to this day I think they’re a little too predictable I like instruments that are always a bit unstable and that are hard to get in tune and it makes it a real labour of love. 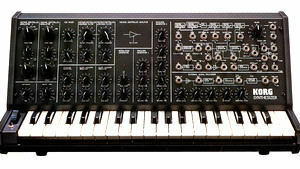 I’ve never really understood getting soft synths that are meant to emulate the older synths. I just try to be resourceful and hunt these synths down. 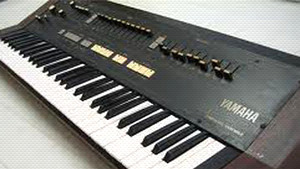 Obviously they are a little tough to find I can totally see why someone would want to use them (soft synths) but once I got the Juno-6, the first real programmable synth that I got, I didn’t want to go back I just loved how it sounded. 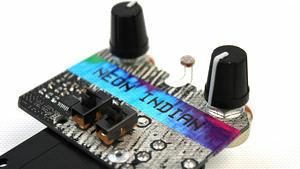 Neon Indian is famous for dancey live gigs. So how does Alan get that distinctive sound on stage? The answer is by expanding to a five piece. Alan’s on vocals, and makes ethereal sounds with his Moog Etherwave Theremin Plus. Most often though you’ll see him at the controls of his beloved Korg MS-20, a patchable monophonic synth produced between the late 70s and early 80s. I think it’s the most seizure-inducing, loud, shrill, obnoxious little machine and I know that so many of my favourite bands have got so many different sounds out of it. His band play some of the instruments he uses in the studio. Josh McWhirter plays a Roland synth bass – a G-77 from the early 80s, which has a floor controller. It’s weird, angular, and has this hilarious black bar over the neck that doesn’t make any sense for aesthetic value but the synth on it sounds really fantastic and it’s really easily toggle-able between actual bass and synth bass. Leanne Macomber the keyboard player plays a Sequential Circuits 6 track Prophet 08 and now we have a fifth member (Ed Priesner) who is entirely electronics who has taken on the role that I used to have aside from vocals. He has two Moog Slim Phattys and a giant mess of Moogerfoogers. Jason Faries plays Ludwig Centenniel drums and Alan has strong views on the kinds of beats he likes. I like using live drums as it’s more of a human element and adds a dimension to the live show but I still like kits that sound really dry and punchy and have an electronic quality to them and can sound like a Linn drum or something. Bleep Labs make all sorts of weird little robot toys that make these really wonderful unstable sounds that are actually kind of 8 bit in nature. I’d gotten into this book a couple of years ago called handmade electronic music right around the time I was starting Neon Indian and it was amazing how simple it really is to hack circuit boards and to take these dated pieces of electronics that might not serve a function other than being an alarm clock or a simple little sampling keyboard and to do really bizarre things to them. I think people are really intimidated by that sort of thing and assume it’s really difficult and you need to have a background in electronics or engineering. With my PAL198X if you got creative enough you can put anything in there. I want you to hack this thing and to mess with it and to sort of acknowledge that if you really wanted to you could dive into this world. I want the PAL to be a gateway into circuit bending for anybody that had an interest in it. They’re already collectors’ items so if you see one get your hands on it quick. And Alan wants to do other conceptual things for music-lovers. I’m definitely pretty set in the idea of being able to reach people through different mediums aside from just music. I think for every release there should be something to allow people to interact with the record in their own fun unique way I think that’s a very 2011 sort of thing to approach. I think being in a band is very different now from what it might have been even 5 years ago. The internet has really made bands be these strange multimedia avatars that interact with people, whether it’s listening to them or downloading them. I subscribe to the concept the sky’s the limit as far as that’s concerned. You can read our PAL 198X blog.